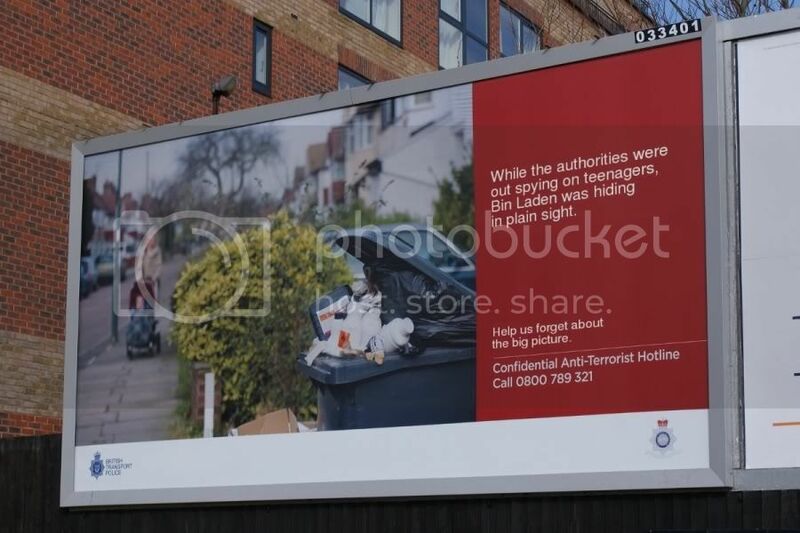 The British constabulary apparently have a new set of particularly ridiculous billboards asking people to dob in their neighbours. (Not quite as silly as the "home taping supports terrorism!" film in the front of one of my DVDs, but close). The only surprising thing was how long it took someone to set up a remix site, here, as found on Boing Boing. My favorite episode of the IT Crowd starts off with the parody warning: "You wouldn't shoot a policeman, steal his helmet, use it as a toilet, send it to his grieving widow, and steal it again! Film Piracy is a Crime!" Then an FBI agent shoots a film pirate in the back of the head, leaving blood oozing over the keyboard. The same episode also involves an anthropophagic German. It ties together nicely.